Bu makale, Güvenlik İkilemi konseptinin işleyiş mekanizmasının düşünsel faktörleri araştırarak söz konusu konseptin geliştirilmesine katkı sağlamayı amaçlamaktadır. Bu maksatla, toplum hayatını şekillendirici tarihsel olayların kültürel araçlar, yönlendirici dinamikler (korku, nefret ve düşmanlık) ve toplumsal kimlik oluşumuna etkilerine vaka analizi yöntemi ile odaklanmaktadır. Realist akımın, Güvenlik İkileminin sebebi olarak gördüğü ‘emin olamama-belirsizlik’ durumunun kaynağı olan anarşinin oluşmasını konstrüktivist yaklaşımla irdeleyen makale, geçmiş olaylardan alınan derslerin zaman içerisinde birikmesi sonucu oluşan ‘algı kalıplarının,’ diğer aktörlerin niyetlerinin belirlenmesinde ve anarşinin oluşmasında anahtar bir rol oynadığını ortaya koyarak Güvenlik İkilemi mekanizmasının işleyişini daha iyi açıklayabilecek bir konsept sunmaktadır. This article seeks to contribute to the security dilemma concept by exploring ideational components of its mechanism. To achieve this goal, it focuses on the effects of the formative events on the cultural products, motivational dynamics (fear, hatred, and enmity), and identity formation by conducting a case study., the article examines the construction of anarchy by employing a constructivist approach, which was regarded as the source of ‘uncertainty’ driving to the security dilemma by the realist mainstream. It demonstrates that the ‘perception patterns,’ which is the result of the accumulation of the past lessons, play a key role in recognition of other actors` intent and construction of anarchy and offers a more explanatory concept. Adler, E. and Barnett, M. (1998a). “A framework for the study of security communities. In: Adler E and Barnett M (eds. ), Security Communities. Cambridge: Cambridge University Press, pp.29-66. Adler, E. and Barnett, M. (1998b). “Studying security communities in theory, comparison, and history.” In: Adler E and Barnett M (eds. ), Security Communities. Cambridge: Cambridge University Press, pp.413-441. Altstadt, A.L. (1992). The Azerbaijani Turks: Power and Identity under Russian Rule. Stanford: Hoover Institution Press, Stanford University. Anderson, P.R. (2000). “Grassroots mobilization and Diaspora politics: Armenian interest groups and the role of collective memory,” Nationalism and Ethnic Politics, 6(1): 24-47. Arkun, A (2005). “Into the modern age, 1800-1913.” In: Herzig E and Kurkchiyan M (eds) The Armenians: Past and present in the making of national identity. London, New York: Routledge, pp.65-88. Bar-Tal, D. (1998). “Group beliefs as an expression of social identity.” In: Worchel S., Morales JF, Paez D. and Deschamps JC (eds) Social identity: International perspectives. London: Sage, pp.93-113. Bar-Tal, D. (2001). “Why Does Fear Override Hope in Societies Engulfed by Intractable Conflict, as It Does in the Israeli Society?” Political Psychology 22(3): 601-627. Barseghyan, K. (2004). “The ‘Other’ in Post-Communist Discourse on National Identity in Armenia.” In: Conference on Nationalism, Society and Culture in post-Ottoman South East Europe, (eds K Oktem and D Bechev), Oxford, 29-30 May 2004, St Peter`s College. Bilali, R. (2013). 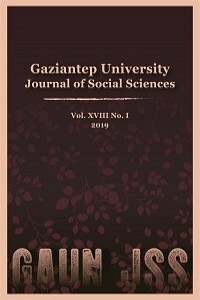 “National Narrative and Social Psychological Influences in Turks’ Denial of the Mass Killings of Armenians as Genocide.” Journal of Social Issues 69(1): 16-33. Bloxham, D. (2005). The Great Game of Genocide: Imperialism, Nationalism, and the Destruction of the Ottoman Armenians. London: Oxford University Press. Bölükbaşı, S. (2011). Azerbaijan: A Political History. London, New York: I.B.Tauris & Co Ltds. Butterfield, H (1951). History and Human Relations, London: Collins. Buzan, B., Wæver, O. and De Wilde, J. (1998). Security: A New Framework for Analysis. Boulder: Lynne Rienner Publishers. Cornell, S.E. (1998). “Religion as a factor in Caucasian conflicts,” Civil Wars, 1(3): 46-64. Cornell, S.E. (2001). Small Nations and Great Powers: A Study of Ethnopolitical Conflict in the Caucasus. London, New York: Routledge Curzon Press. Crawford, N.C. (2000). “The Passion of World Politics: Propositions on Emotion and Emotional Relationships,” International Security 24(4): 116-156. Croissant, M.P. (1998). The Armenia-Azerbaijan Conflict, Causes, and Implications. London: Prager. Dadrian, V.N. (1995). The History of the Armenian Genocide: Ethnic Conflict from the Balkans to Anatolia to the Caucasus. New York, Oxford: Berghahn Books. De Waal, T. (2003). Black Garden: Armenia and Azerbaijan through Peace and War, New York and London: New York University Press. Druckman, D. (1994). “Nationalism, Patriotism, and Group Loyalty: A Social Psychological Perspective,” Mershon International Studies Review 38(Suppl): 143-168. Dudwick, N. (1997). Armenia: paradise lost? In: Bremmer I and Taras R (eds), New states, new politics: building the post-Soviet nations succeess and replaces Nations and politics in the Soviet successor states. Cambridge: Cambridge University Press, pp.471-504. Faure, G.O. (2009). Culture and Conflict Resolution. In Bercovitch J, Kremenyuk V and Zartman W (eds) The SAGE Handbook of Conflict Resolution. London: SAGE Publications, pp.506-524. Forsyth, J. (2013). The Caucasus: a history. New York: Cambridge University Press. Glaser, C.L. (1997). “The Security Dilemma Revisited,” World Politics 50(1 Fiftieth Anniversary Special Issue): 171-201. Goldstein, J. and Keohane, R.O. (1993). Ideas and Foreign Policy. In Goldstein J and Keohane RO (eds) Ideas and foreign policy: beliefs, institutions, and political change. Ithaca, London: Cornell University Press, pp.3-30. Green, M.D. and Bogard, J.C. (2012). “The Making of Friends and Enemies: Assessing the Determinants of International Identity Construction,” Democracy, and Security 8(3): 277-314. Halperin, E. (2008). “Group-based Hatred in Intractable Conflict in Israel,” The Journal of Conflict Resolution 52 (5): 713-736. Herrmann, R. (1988). “The Empirical Challenge of the Cognitive Revolution: A Strategy for Drawing Inferences about Perceptions,” International Studies Quarterly 32(2):175-203. Hermann, M.G., Hermann, C.F. and Hagan, J.D. (1987). “How Decision Units Shape Foreign Policy Behavior.” In: Hermann CF, Kegley CW and Rosenau JN Jr (eds) New Directions in the Study of Foreign Policy. Boston: Allen &Unwin, pp. 309-338. Herz, J.H. (1951). Political Realism and Political Idealism: A Study in Theories and Realities. Chicago: Chicago University Press. Hopf, T. (1998). “The Promise of Constructivism in International Relations Theory,” International Security 23(1): 171-200. Horowitz, D.L. (1985). Ethnic Groups in Conflict. Berkeley: University of California Press. Hovannisian, R.G. (1994). “Historical Memory and Foreign Relations: The Armenian Perspective.” In: Starr SF (ed), Russia: The Legacy of History in Russia and the New States of Eurasia. New York: M. E. Sharpe, Inc, pp.237-276. Houghton, P.D. (1996). “The Role of Analogical Reasoning in Novel Foreign-Policy Situations,” British Journal of Political Science 26(4): 523-552. Hunter, T.S. (2000). “The Evolution of The Foreign Policy of the Transcaucasian States.” In Bertsch GK, Craft C, Jones SA and Beck M (eds) Crossroads and conflict: security and foreign policy in the Caucasus and Central Asia, New York: Routledge, pp.25-47. Hunter, T.S. (2006). The Transcaucasus in Transition Nation-Building and Conflict. Washington, D.C.: The Center for Strategic and International Studies. Huntington, S.P. (1996). The Clash of Civilizations and The Remaking of World Order, New York, London: Simon & Schuster Paperbacks. Ishkhanian, R. (1991). “The Law of Excluding the Third Force.” In Libaridian, Gerard J. (ed), Armenia at the Crossroads: Democracy and Nationhood in the Post-Soviet Era. Massachusetts: Blue Crane Books, pp. 9-38. Jepperson, R.L., Wendt, A. and Katzenstein, P.J. (1996). “Introduction: Alternative Perspectives on National Security.” In Katzenstein PJ (ed) The Culture of National Security: Norms and İdentity in World Politics. New York: Columbia University Press, pp.33-72. Jervis R (1976). Perception and Misperception in International Politics Princeton. New Jersey: Princeton University Press. Jervis, R. (1978). “Cooperation under the Security Dilemma,” World Politics, 30(2): 167-214. Johnson, J.L. (2000). Crossing Borders confronting history: Intercultural Adjustment in a Post-Cold War World. Maryland: University Press of America. Jones, S.A. (2000). “Turkish Strategic Interests in the Caucasus.” In Bertsch GK, Craft C, Jones SA and Beck M (eds) Crossroads and conflict: security and foreign policy in the Caucasus and Central Asia, New York: Routledge, pp.55-65. Katzenstein, P.J. (1996). “Introduction: Alternative Perspectives on National Security.” In Katzenstein PJ (ed) The Culture of National Security: Norms and İdentity in World Politics. New York: Columbia University Press, pp.1-32. Kaufman, S.J. (2001). Modern Hatreds: The Symbolic Politics of Ethnic War. Ithaca, London: Cornell University Press. Kazemzadeh, F. (1951). The Struggle for Transcaucasia (1917-1921). New York: Philosophical Library Inc.
Khong, Y.F. (1992). Analogies at War. Princeton: Princeton University Press. Kupchan, C.A. (2010). How Enemies Become Friends: The Sources of Stable Peace. Princeton: Princeton University Press. Kurkchiyan, M. (2005). The Karabagh conflict: From Soviet past to post-Soviet uncertainty. In: Herzig E and Kurkchiyan M (eds) The Armenians: Past and present in the making of national identity. Londo, New York: Routledge Curzon, pp.147-165. Larson, D.W. (1985). Origins of Containment: A Psychological Explanation. Princeton: Princeton University Press. Larson, D.W. and Shevchenko, A. (2003). “Shortcut to Greatness: The New Thinking and the Revolution in Soviet Foreign Policy,” International Organization 57(1): 77-109. Lebow, R.N. (2008). A Cultural Theory of International Relations. New York: Cambridge University Press. Levy, J.S. (1994). “Learning and foreign policy: sweeping a conceptual minefield,” International Organization 48(2): 279-312. Libaridian, G.J. (1991). Armenia at the Crossroads: Democracy and Nationhood in the Post-Soviet Era. Massachusetts: Blue Crane Books. Libaridian, G.J. (2004). Modern Armenia: people, nation, state. New Brunswick, New Jersey: Transaction Publishers. Libaridian, G.J. (2005). The Past as a Prison, The Past as a Different Future. Available at: http://www.esiweb.org/pdf/esi_turkey_tpq_id_45.pdf (accessed 11 February 2014, 21:10). Melson, R. (1982). “A Theoretical Inquiry into the Armenian Massacres of 1894–1896,” Comparative Studies in Society and History 24(3): 481-509. Mirzoyan, A. (2010). Armenia, the Regional Powers, and the West: Between History and Geopolitics. New York: Palgrave, Macmillan. Mitzen, J. (2006). “Ontological Security in World Politics: State Identity and the Security Dilemma,” European Journal of International Relations 12 (3): 341-370. O'Lear, S. (2011). “Borders in the South Caucasus,” Defense & Security Analysis 27 (3): 267-276. Orena, N. and Bar-Tal, D. (2007). “The detrimental dynamics of delegitimization in intractable conflicts: The Israeli–Palestinian case,” International Journal of Intercultural Relations 31(1): 111–126. Panossian, R. (2002). “The Past as Nation: Three Dimensions of Armenian Identity,” Geopolitics 7 (2): 121-146. Reiter, D. (1994). “Learning, Realism, and Alliances: The Weight of the Shadow of the Past,” World Politics 46(4): 490-526. Ringmar, E. (1996). Identity, Interest and Action. Cambridge: Cambridge University Press. Rosati, J.A. (2000). “The Power of Human Cognition in the Study of World Politics,” International Studies Review 2(3): 45-75. Sampson, M.W. (1987). “Cultural Infiuenc.es on Foreign Policy.” In: Hermann CF, Kegley CW and Rosenau JN Jr (eds) New Directions in the Study of Foreign Policy. Boston: Allen & Unwin, pp.384-408. Sjöstedt, R. (2013). “Ideas identities and internalization: Explaining securitizing moves,” Cooperation and Conflict 48 (1): 143-164. Smith, A.D. (1992). “Chosen peoples: why ethnic groups survive,” Ethnic and Racial Studies 15(3): 436-457. Snyder, J. (1991). Myths of Empire: Domestic Politics and İnternational Ambition. Ithaca, New York: Cornell University Press. Sonyel, S.R. (1987). The Ottoman Armenians: Victims of Great Power Diplomacy. London: K. Rustem & Brother. Stein, J.G. (1988). “Building Politics into Psychology: The Misperception of Threat,” Political Psychology 9(2): 245-271. Suny, R.G. (2000). “Provisional Stabilities: The Politics of Identities in Post-Soviet Eurasia,” International Security 24 (3): 139-178. Swietochowski, T. (1995). Russia and Azerbaijan: A Borderland in transition. New York: Columbia University Press. Tajfel, H. and Turner J.C. (1986). “The Social Identity Theory of Intergroup Behavior.” In Worchel S and Austin WG (eds) The Social Psychology of Intergroup Relations. Chicago: Nelson-Hall, pp.7-24. Tang, S. (2009). “The Security Dilemma: A Conceptual Analysis,” Security Studies 18(3): 587-623. Turner, J.C. (1987). Rediscovering the Social Group: A Self-Categorization Theory. New York: Basil Blackwell. Valdez, J. (1995). “The Near Abroad, the West, and National Identity in Russian Foreign Policy.” In: Dawisha A and Dawisha K (eds) The Making of Foreign Policy in Russia and the New States of Eurasia, New York: M. E. Sharpe, Inc, pp.84-110. Van der Leeuw, C. (1998). Storm over the Caucasus: In the Wake of Independence. New York: St. Martin`s Press. Van der Leeuw, C. (2000). Azerbaijan: A Quest for Identity, a short history. Richmond: Curzon Press. Van Gorder, A.C. (2006). “Armenian Christians and Turkish Muslims: Prospects for reconciliation through interfaith dialogue on the events of history,” Islam, and Christian–Muslim Relations 17(2): 173-194. Volkan, V. (1988). The Need to Have Enemies and Allies. Northvale: Jason Aronson Inc.
Volkan, V. (1999). Blutsgrenzen: Die historischen Wurzeln und die psychologischen Mechanismen ethnischer Konflikte und ihre Bedeutung bei Friedensverhandlungen. Bern: Scherz Verlag. Volkan, V. (2005). Blind Trust, Großgruppen und ihre Führer in Zeiten der Krise und des Terrors. Gießen: Psychosozial-Verlag. Volkan, V. (2009). “Large-group identity, international relations and psychoanalysis,” International Forum of Psychoanalysis 18(4): 206-213. Walker, S. G. (1987). “Role Theory and the Origins of Foreign Policy.” In: Hermann CF, Kegley CW and Rosenau JN Jr (eds) New Directions in the Study of Foreign Policy. Boston: Allen & Unwin, pp. 269-284. Walker, E. (2000). “No War, No Peace in the Caucasus: Contested Sovereignty in Chechnya, Abkhazia, and Karabakh.” In Bertsch GK, Craft C, Jones SA and Beck M (eds) Crossroads and conflict: security and foreign policy in the Caucasus and Central Asia, New York: Routledge, pp.152-187. Waltz, K.N. (1979). Theory of international politics. New York: Random House. Zagorski, A.V. (1999). “Traditional Security Interests in the Caucasus and Central Asia: Perceptions and Realities.” In: Menon R, Fedorov YE and Nodia G (eds) Russia, the Caucasus, and Central Asia: The 21st Century Security Environment, New York: M. E. Sharpe, Inc, pp.61-86. Zarifian, J.. (2008) “Christian Armenia, Islamic Iran: Two (Not so) Strange Companions Geopolitical Stakes a Significance of a Special Relationship,” Iran & the Caucasus 12(1): 123-151. Doc-2. (2013). Survey Results. Available at: http://caucasusbarometer.org/en/cb2013/codebook/ (accessed on: 20 July 2013)Interview with High-Level OSCE Official, 12.06.2014, in Baku.